Dies R Us: Birthday Bouquet! Are you ready for a sweet birthday card today? The one I am sharing with you is not only a really sweet card, but a really quick card to make. With all of having such hectic lives, it is such a treat to be able to pull our dies out & come up with beautiful cards for our family & friends. For today's card I used the following dies: Poppy Stamps Kirby Blooms, Spellbinders Pierced Ovals, Spellbinders Oval Regalia & Poppy Stamps Classic Ribbons. 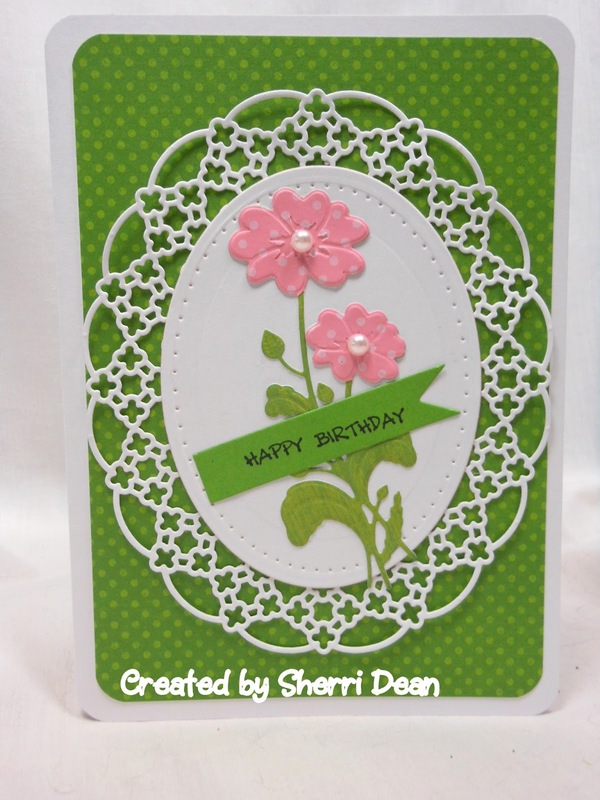 This beautiful Kirby Blooms die also embosses for an even more beautiful effect! This die would be perfect for a sympathy card,a thank you, a get well card or just a quick hello! Select one of the many fabulous dies YOU like and see what you can come up with! 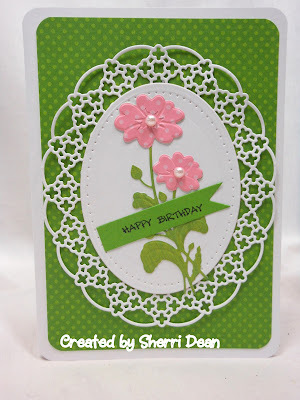 Be sure to stop by the Dies R Us Challenge Blog too! You still have time to get in on the current challenge for a chance to win a gift certificate to the fabulous store! I'll be back next week with something special for you. Until then, have a fantastic week! Take It Easy . . . Wedding Blessings . . .
You are such a peach! Dreams Have Wings . . .
A 'tweet' thanks . . .